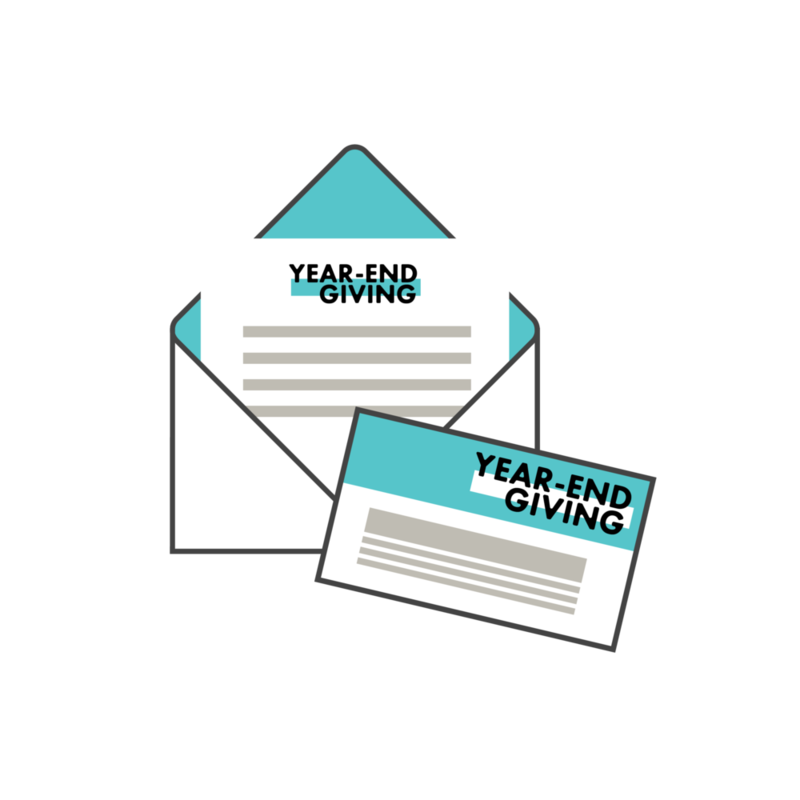 Your year-end giving is a huge draw for your fundraising goals and a great way for your members and patrons to show their support. But with holidays and travel and everyone asking for money, getting your message to your supporters can seem like a mammoth of a task. By December, your supporters’ mailboxes may be overflowing with year-end giving requests. So, you want messaging and design that will stand out and compel your supporters to act. You’re already competing for attention. If your mailer has too much text – even important text – it may be overlooked. Edit, edit, edit; and provide further reading on your website. If someone is only going to glance at your mailer or ad for 2 seconds, make your Call To Action the visual priority. Get visual! Use icons or photos to show the benefits of support. Quantify it if you can: $15/month helps pay for guest speakers for an event series. Basically, you want to look as good as the work you’re doing, and garner higher levels of support than ever. how the heck to work in Photoshop? or how to finesse a PowerPoint slide into a flyer? and, wait, how do you save a file with a bleed to print? All the design software and jargon standing between you and your amazing message can feel like the make or break moment for your genius campaign. The Mandalu Giving Campaign Package: Your one-stop service to all the assets you need for a great-looking year-end giving campaign! With this package, you will have all the beautifully designed assets you need to implement a great campaign in just 2-4 weeks! See full package details here. It’s never too early to book your package and rest easy knowing there’s one less thing on your plate at the end of the year. Book your package before Oct 10th to receive 25% off the base package price. That’s a savings of $150!